I shot this two nights ago after the Badger had made its final return to port for the year. 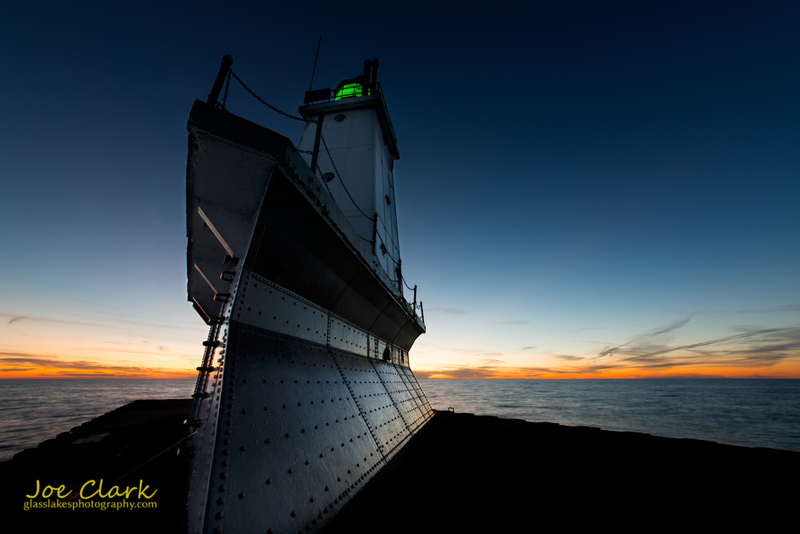 As the sun was going down I noticed the reflections of the sunset on the glossy sides of the lighthouse’s base. Exposing for both the fading light and the base I made this image. This is a fine example of the capabilities of a super wide-angle lens. Shot with a 12-24 at 12mm ISO 100 f/8 for 2 seconds. Click for larger, and this will be available as a print soon.